The personal transportation vehicle that really moves you, whether you’re on or off the course. 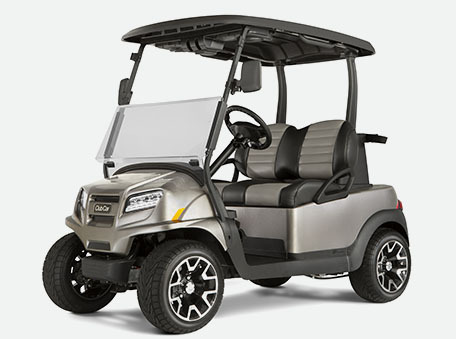 Your Club Car vehicle is built from the ground up for quality and endurance with our exclusive aircraft grade all-aluminum rust-proof chassis, body and bed. This rustproof, corrosion-resistant frame is lightweight and strong and carries a lifetime warranty. On the golf course or on the street, your Club Car will handle and maneuver like a sports car, thanks to our innovative SportDrive™ Steering & Suspension system. The automobile inspired chassis, steering, and front and rear suspension deliver a confident, comfortable ride.